The last time an Ontario premier's approval ratings were this low, Dalton McGuinty announced his resignation. That makes Thursday's byelections in Ontario delicate for Premier Kathleen Wynne, who is polling at even lower levels than her predecessor did before he stepped aside four years ago. Two Ontario provincial byelections on Thursday come at a difficult time for Premier Kathleen Wynne's Liberal government. Her party is at its lowest point in the polls in years and the premier's approval ratings are even worse than her predecessor's, Dalton McGuinty. And when his ratings were plumbing new depths, McGuinty announced he would resign. Byelections are being held in the ridings of Ottawa–Vanier and Niagara West–Glanbrook, the former a solid stronghold for the Liberals and the latter a bastion of the Progressive Conservatives. Because of their reliable voting histories, the results may not be indicative of broader provincial moods. Ottawa–Vanier seems particularly immune to wider trends, with the Liberals taking about as much of the vote there when the PCs formed government between 1995 and 2003 as they have since. Still, with the Ontario Liberals polling in third place in one recent province-wide poll and Wynne's approval ratings dipping below 20 per cent, nothing can be taken for granted. On Oct. 15, 2012, McGuinty announced that he would resign as premier and leader of the Liberal Party of Ontario. His polling numbers at the time were bad. Between June and August, his personal approval rating ranged between 27 and 29 per cent, with 60 to 62 per cent of Ontarians disapproving of his performance. A poll conducted at the end of September put his approval rating even lower, at just 20 per cent. The Ontario Liberals were also struggling as a party, registering between 26 and 34 per cent support over the summer of 2012. That put them behind Tim Hudak's PCs and running barely ahead of Andrea Horwath's New Democrats. In September, though, a poll put the Liberals 17 points behind the Tories and solidly in third place. Wynne's Liberals are in a similar position today. The two most recent polls (from Mainstreet Research and Forum Research) have pegged the Liberals' support at just 24 or 25 per cent. The PCs, now under Patrick Brown, registered 43 per cent support in both polls. The NDP, at 23 or 27 per cent, is now vying with the Liberals for runner-up status. But the approval ratings for Wynne are far lower than McGuinty's. 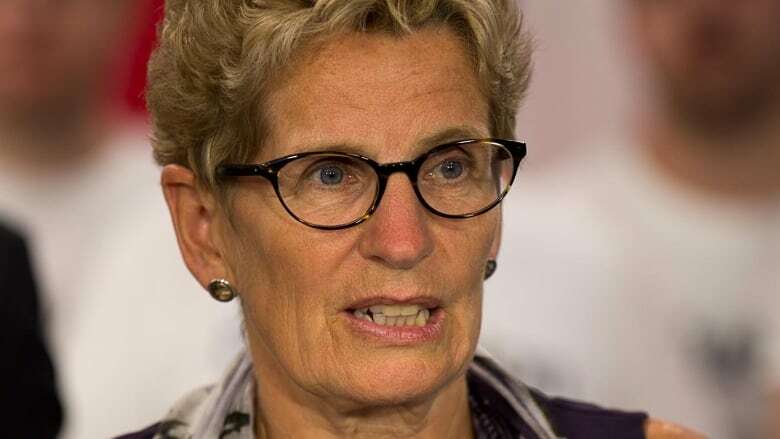 The two polls put them at only 14 or 15 per cent, with between 67 and 77 per cent of Ontarians disapproving of her performance as premier. And these are not just a blip. Unlike McGuinty — who routinely polled in the high-20s even at his lowest ebbs — Wynne has scored 24 per cent approval or less in 14 consecutive polls stretching back to February. Another complicating factor for Wynne and the Liberals is their opponent on the other side of the aisle. When McGuinty was testing new levels of unpopularity, one consolation was that Hudak was nearly as unpopular. With an election defeat in 2011 already behind him, Hudak had not regained much esteem among Ontarians a year later. His disapproval rating was better than McGuinty's, at about 49 or 50 per cent, but his approval rating was just as low. Over the summer of 2012, Hudak was registering just 24 to 26 per cent approval. 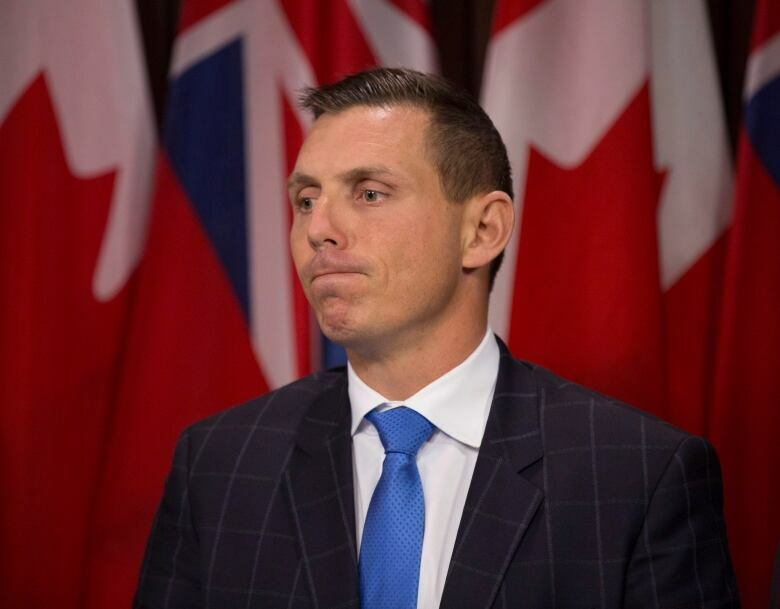 Brown, who replaced Hudak as leader of the Progressive Conservatives a little more than a year ago following the party's 2014 election defeat, remains largely unknown to many voters. Some polls suggest half of Ontarians still do not have an opinion of him. The polls are muddied on what people who do have an opinion think of Brown. Forum has found his approval and disapproval ratings nearly split, at 27 to 24 per cent. Mainstreet finds his numbers to be much more positive, at 51 per cent approval to 30 per cent disapproval. The upshot is that Wynne and the Liberals can't count on the PCs sending an unpopular leader onto the campaign trail in 2018. Brown could turn out to be a problem or a boon to the Liberals. He may catch fire with voters, but when a lot of them remain undecided about a leader, opponents have an opportunity to make sure the opinions formed are negative. There are also indications that voters' attachment to the PCs is only skin deep. A recent poll from Mainstreet found that without Wynne as leader the Ontario Liberals would be back in front. Brown's PCs appear to be the default alternative to a party with a leadership problem. As a signal of where the province is heading politically, the results of the Ontario byelections Thursday might prove inconclusive, though a Liberal defeat in Ottawa–Vanier would be catastrophic. Either way, with these difficult polling numbers, it is hard to imagine that Kathleen Wynne can afford bad news of any kind.